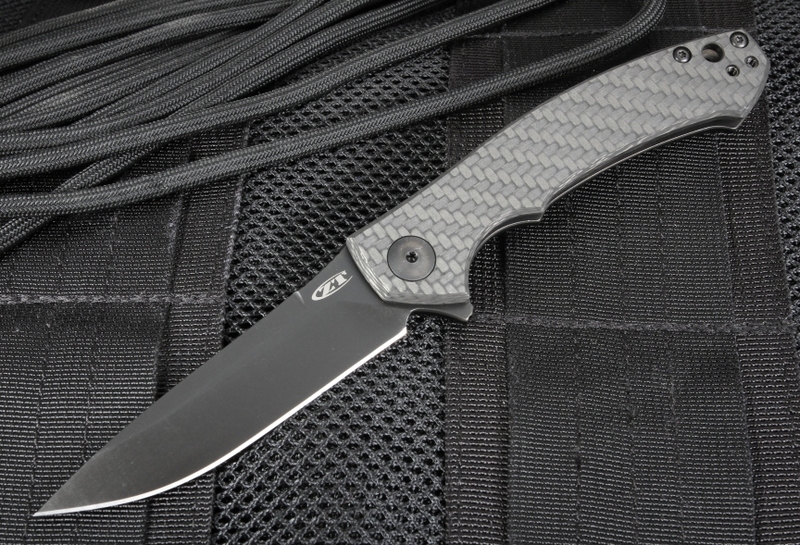 New Zero Tolerance 0450CF designed by Dmitry Sinkevich. Proudly made in the USA. 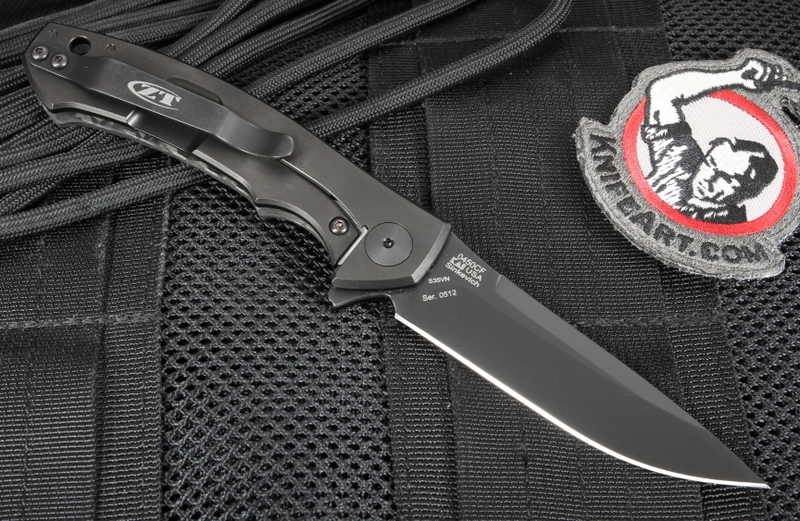 Sleek and lean, this knife is perfect for every day carry. Carries and handles easily while clipped in a pocket. 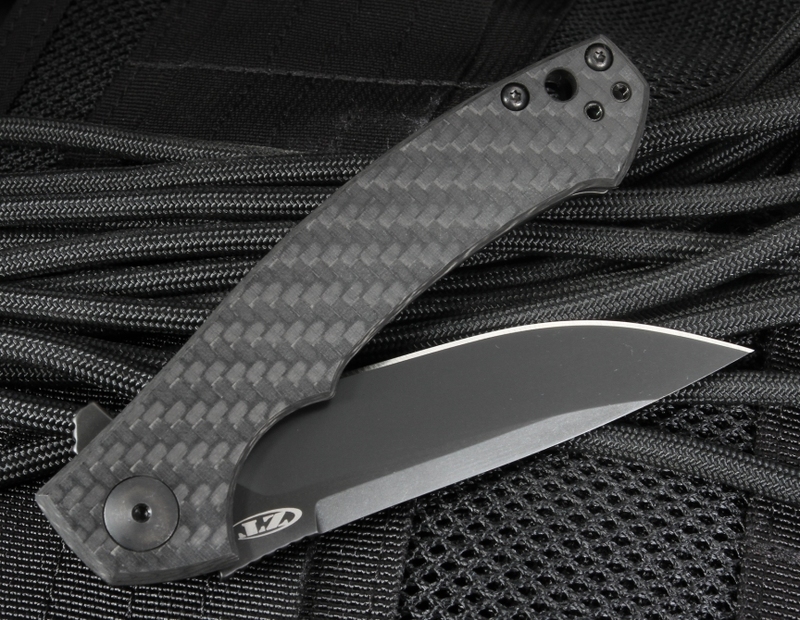 The blade on the ZT 0450CF is constructed from stainless CPM S35VN steel with a rockwell hardness of 60-62. 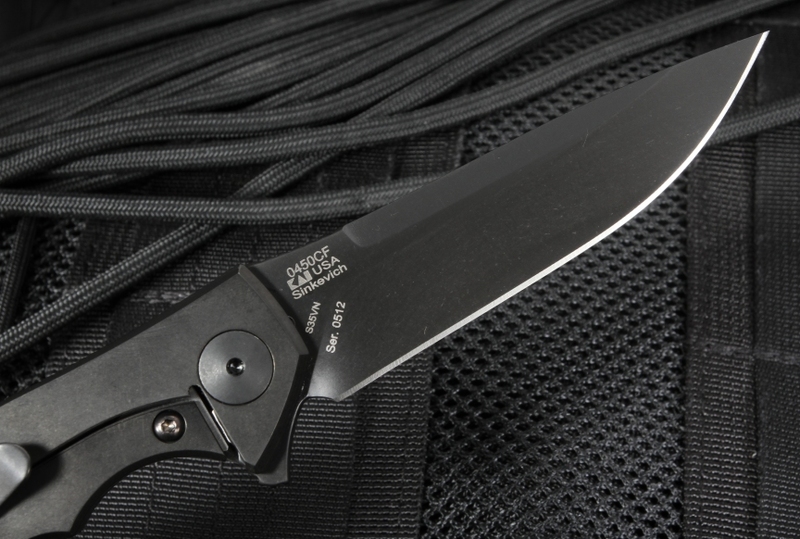 Black DLC coating gives this an all black look that matches the handle and clip. Jimping on the thumb rest of the blade spine provides a positive forward grip. Flipper serves as an index finger guard in the open position. Black carbon fiber on the face side of the handle reduces weight and gives this knife a custom look. The titanium side of the handle is black coated. Frame lock has a stainless steel lock bar insert to extend the life of the lock. Lanyard hole in the handle. 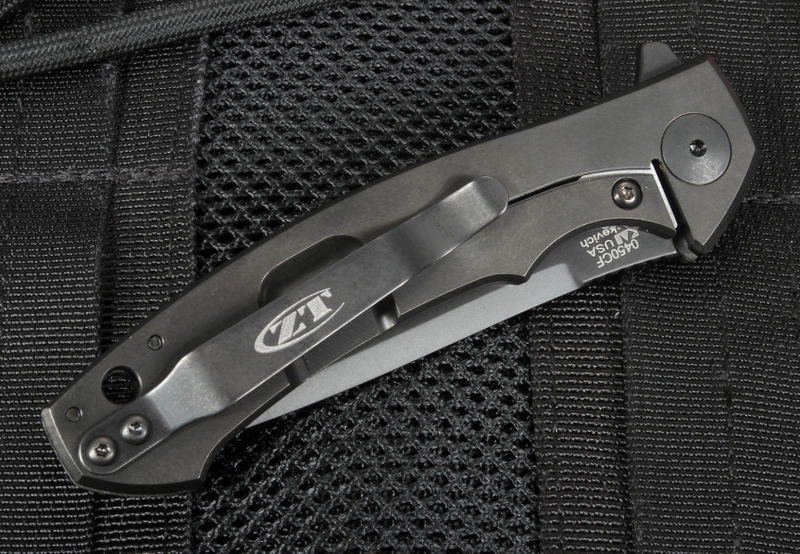 Black coated pocket clip can be mounted for right or left pocket carry. 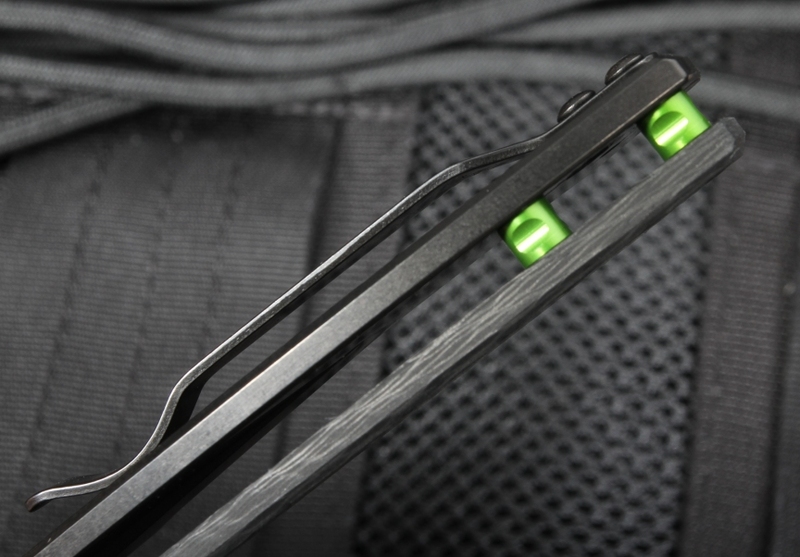 Emerald green anodized aluminum tube style spacers give this folder a touch of color.